Talent management is a business priority of corporate executives, and organizations that invest in leadership development tend to have superior financial performance, according to recent studies. Leading organizations are taking leadership development to the next level by engaging in experiential learning, special assignments, development roles, one-on-one coaching, and mentoring. The 70-20-10 model has been very effective: 70 percent focus on on-the-job experiential and activity-based learning; 20 percent on mentoring, coaching and performance feedback; and 10 percent on formal learning programs. 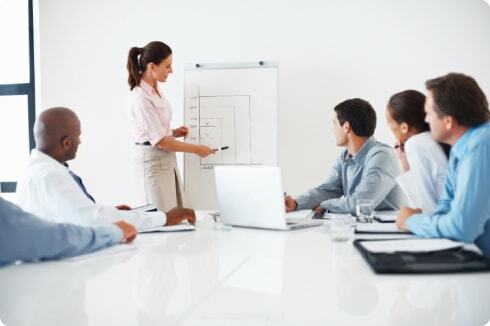 Leadership development organizations usually have talent leaders either report directly to the CEO or to the head of human resources, who then reports to the CEO. These talent-forward organizations combine succession planning and leadership development to get the best of both: attention to the skills needed for senior management positions along with an educational system to help managers develop leadership skills. They use quantitative methods to assess leadership development, such as spending invested, candidates’ diversity and readiness, and the number of internal appointments to leadership positions; and qualitative measures, such as impact evaluation, assessment of the strength of its culture, and involvement of the executive team in leadership development. Viewed in terms of risk management, many organizations see vacancy, readiness, transition, and portfolio risks in succession planning and talent development. There is no single best model for developing future leaders, but companies should focus on their needs and pay attention to the latest trends in training and development. Progressive firms realize that continuous succession planning is just one step in the executive development process.